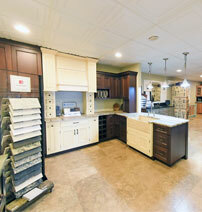 USMG is dedicated to offering the most extensive selection of quality stone, custom metalworks and cabinetry. With our quick turnaround, personal attention and exceptional level of craftsmanship, you can be assured you’ll receive the highest quality material and level of service for your kitchen, bathroom, floors and more. You pick the project, we’ll make it perfect. Let our expert artisans custom-build countertops for your kitchen, bathroom, fireplace and more. USMG is your premium provider of custom cabinetry and millworks, with a full selection of woods and finishes. USMG's skilled craftsman can design and build any customized vanity or other bathroom component, including showers, steam rooms or other bathroom enclosures. We work with both residential and commercial clients to be your custom one-stop-shop in order to meet the needs of your project. From the ceiling to the floor, USMG offers everything you need for a custom project. With over 2,000 slabs of stone in stock, USMG has the largest inventory of authentic natural stone than anyone in Cleveland, Ohio. Come visit our showroom to see for yourself. In order to best meet your needs, please complete the form to schedule your appointment! 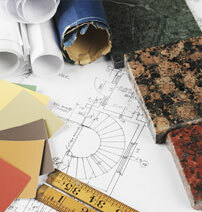 Our selection of granite, marble, travertine and quartz products is unsurpassed. Whether it be a renovation or new construction, USMG offers the greatest selection of the best materials available globally. We are dedicated to forming valuable partnerships. US Marble & Granite is a full-service supplier of natural stone products such as granite, marble, travertine, and onyx; along with CaesarStone, ceramic, porcelain, metal, and glass tiles. In addition, we offer a variety of custom metalworks & cabinetry, custom stone fabrication and installation for kitchens, bathrooms, fireplaces, backsplashes, and floors.